The Campus Recreation Department at Southern Illinois University Edwardsville is an area leader in the field of recreation by providing students quality programs, opportunities for social interaction, and encouragement to pursue healthy lifestyles. Family programs, special events, and intramural sports such as softball, flag football, and soccer are provided for student recreation. In addition to recreation opportunities, organized club football, soccer, lacrosse, softball, and baseball teams host events and practice on Campus Recreation facilities. To effectively host these events, the Department is committed to providing state of the art facilities at the Outdoor Recreation Sports Complex, which is known as the RecPlex. Synthetic turf was being considered for an intercollegiate soccer/football field and intramural softball infield at the RecPlex to help prevent rainouts, open the fields for more play, and enhance the play experience. Oates Associates completed a study to review turf options, summarize data, and outline estimates for construction cost and time. 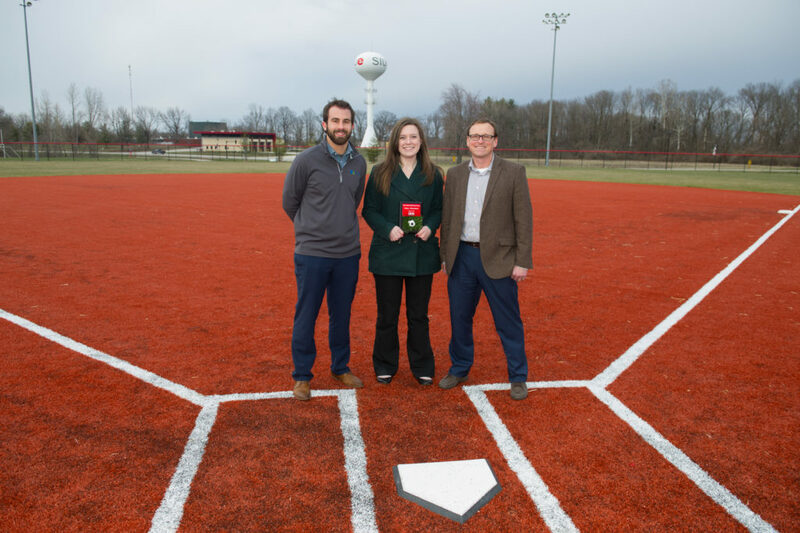 Subsequently, Oates Associates provided field survey, final design, construction plans, bid assistance and construction administration for the 100,000 square foot soccer/football field and 21,000 square foot softball infield.